Jadavpur University B.Sc. Admission 2018 – Jadavpur University had released notification for admission to the to B.Sc (Honours) courses for the academic year 2018-19. The complete detail of Jadavpur University B.Sc. Admission 2018 such as application form, eligibility criteria, selection process etc. are given below. Latest: Provisional waiting list for Admission to the B.Sc. (Hons.) Course in Physics has been released. Scroll down to check. 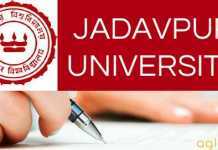 Jadavpur University is offering admission to B.Sc (Honours) courses in Physics, Chemistry, Mathematics, Geological Sciences and Geography for the academic year 2018-2019. 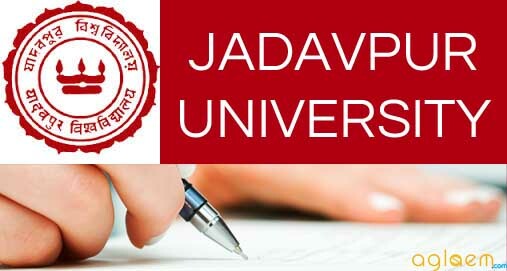 Interested candidates can read here the complete detail of Jadavpur University B.Sc. Admission 2018 along with important dates. Notice: Click here to check admission notice regarding various B.Sc Courses. For Physics, Chemistry, Mathematics & Geological Sciences Candidates having passed 10+2 Examination from any recognized Board in Science with Chemistry, Mathematics, Physics and securing at least 75% marks in average obtained in Chemistry, Mathematics & Physics are eligible. In case of OBC-A/OBC-B category, minimum requirement of marks is 67.5% in average obtained in the above mentioned three(3) subjects. In case of SC/ST/PD/Sports category, minimum requirement of marks is 56.2% in average obtained in the above mentioned three(3) subjects. The minimum disability in case of the PD candidates is 40%. For Geography Candidates having passed 10+2 Examination from any recognized Board in Science with Mathematics and any two subjects from Physics, Chemistry, Geography, Geology & Economics, securing at least 70% marks in average obtained in above mentioned three(3) subjects are eligible. In case of OBC-A/OBC-B category, minimum requirement of marks is 63% in average obtained in above mentioned three(3) subjects. In case of SC/ST/PD/Sports category, minimum requirement of marks is 52.5% in average obtained in in above mentioned three(3) subjects. The minimum disability in case of the PD candidates is 40%. 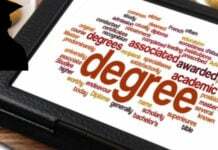 **NOTE: A student who has obtained the Bachelor Degree from a recognized University is not eligible for admission to the Bachelor Degree course of this University. secured position 1st/2nd/3rd for individual event/sports or member of Champion / Runners up team for team events/sports/games in Inter-District (open) competition not before 01.01.2015. For Chess: The student must have FIDE rating of 1700 and above along with the criteria specified above is eligible for admission under sports quota. For Tennis: A student having AITA ranking up to 300 for under 18 years boys/girls or ranking up to 500 for open (Men/Women) category is eligible to apply for admission under sports quota. Certificates of participation in Sports/Games must be obtained from competent authorities as specified below. Applicant must submit attested photocopies of the certificates along with a copy of online payment receipt at the Office of the Dean and Secretary, Faculty Council of Science, U.G. Science Building, Ground Floor, Jadavpur University, Kolkata 700032, on or before June 23, 2017 (11 am – 5 pm). Persons with 40% or more disability will only be considered for admission under PD quota under PWD (Equal Opportunity, Protection of Rights and Full Participation) Act, 1995. Candidates applied under this category must submit an attested photocopy of certificate of disability issued by the relevant authority either in person (or by post) along with a photocopy of online payment receipt within June 23, 2017 (5pm) in the Office of the Dean and Secretary, Faculty Council of Science, Ground Floor, UG Science Building, Jadavpur University, Kolkata 700032. To know about the complete eligibility criteria, click here. Admission will be made strictly according to the marks obtained in the Higher Secondary or equivalent examination. There will be no Admission Test. Incomplete application in any respect will be summarily rejected. For Physics In case of bunching of total marks in the merit list at first the marks of Physics at +2 level be considered. Even if there is a further bunching of marks of Physics at +2 level, the marks of Mathematics at +2 level be considered. For Chemistry In case of bunching of total marks in the merit list at first the marks of Chemistry at +2 level be considered. Even if there is a further bunching of marks of Chemistry at +2 level, the marks of Mathematics at +2 level be considered. For Mathematics In case of bunching of total marks in the merit list at first the marks of Mathematics at +2 level be considered. Even if there is a further bunching of marks of Mathematics at +2 level, the marks of Physics at +2 level be considered. For Geological Sciences In case bunching of total marks in the merit list at first the marks of Mathematics at +2 level be considered. Even if there is a further bunching of marks of Mathematics at +2 level, the marks of Physics at + 2 level be considered. Again if there is a bunching of marks of Physics at + 2 level the marks of Chemistry at +2 level be considered. For Geography In case bunching of total marks in the merit list the marks of Mathematics at +2 level be considered. Even if there is a further bunching of marks of Mathematics at +2 level, the total marks obtained in best of 4 subjects at +2 level be considered.